Google’s “Smart Compose” feature on Gmail would now help users with email subject line suggestions, letting them draft their emails even faster. 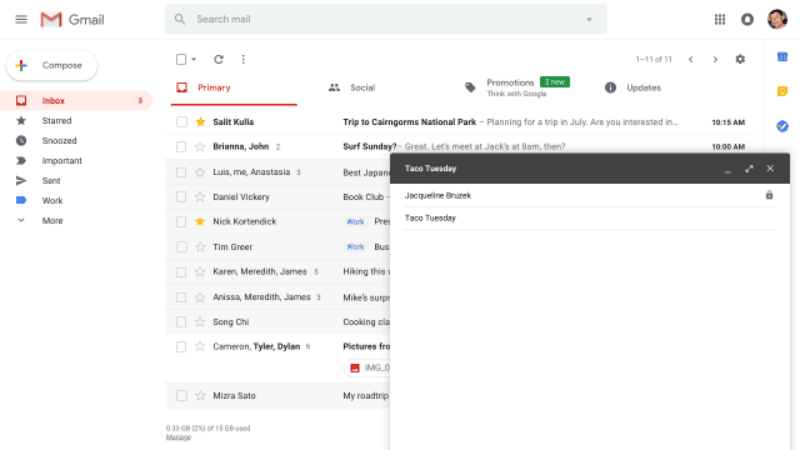 The new ability arrived on Gmail on Thursday, moving us slightly closer to a future where we just use bots to replace our more mundane communications, The Verge reported. The expanded “Smart Compose” option is rolling out to all Gmail users and could take up to 15 days to go live widely. Even though the feature is on by default, users could choose to turn it off. The feature was introduced as Google’s attempt to “cut down on the effort it takes for you to write emails and replies”, the report added.